Bio-IT World Conference & Expo comes early this year (April 4-7th), where more than 3,000 researchers, life science, pharmaceutical, clinical, and IT professionals descend upon Boston. If you’re headed to Bio-IT World, please stop by the DNAnexus booth (#317) to explore and discuss our latest projects, new datasets, and tools. This year, Big Data is a featured theme at the event. Our friend and collaborator, Dr. Taha Kass-Hout (Chief Health Informatics Officer and Director of the FDA’s Office of Health Informatics) kicks off the Big Data: Sharing vs. Privacy vs. Security in Healthcare session (Track 3, Thursday at 2:00pm) with an overview of precisionFDA, the new community platform for NGS assay evaluation and regulatory science exploration. Additional fascinating talks follow: John E. Mattison (Co-Chair, eHealth Workgroup, Global Alliance for Genomics and Health) will present emerging initiatives from the GA4GH and Robert Grossman (Director, Center for Data Intensive Science) will discuss large-scale data commons for genomic and clinical data. The final session includes those experts along with John M. Conley (Robinson Bradshaw & Hinson), Andrew K. Porter (Merck & Co.), and Mollie Shields-Uehling (SAFE-BioPharma Assoc.) for a panel discussion looking at data sharing innovations and the regulatory environment. Precision medicine continues to be a strong theme for 2016, bolstered by President Obama’s recent Precision Medicine Initiative (PMI) Summit. At DNAnexus, we like to think of genetic data as the original Big Data, and we are passionate about Big Data’s role in advancing medical discovery and treatments. We are proud to announce that precisionFDA is a Bio-IT World Best Practice Award finalist. The Best Practice Award highlights outstanding examples of how technological innovation can be powerful forces of change in the life sciences. 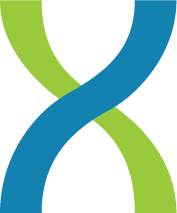 The precisionFDA platform was developed under contract for the FDA by DNAnexus, and currently provides over 1,000 users from nearly 500 organizations in the genomics community a sandbox for NGS assay evaluation and regulatory science exploration. Be sure to be there when the winners are announced live on Wednesday, April 6th at 9:30am. Dr. Taha Kass-Hout, Chief Health Informatics Officer and Director of FDA’s Office of Health Informatics, will be making a cameo appearance at the DNAnexus booth to answer questions and showcase the precisionFDA platform. Learn how precisionFDA is leveraging community participation to advance regulatory science in the area of next-generation sequencing – DNAnexus is proud to have collaborated with the FDA to develop the community platform. Sciences LIMS, Pacific Biosciences tools, and WuXi NextCODE Cloud platform. See how the integration of the DNAnexus platform with Sapio Sciences’ LIMS solution is enabling seamless integration with bioinformatics operations, enabling secure scalability and flexible workflows. Learn how the WuXi NextCODE Cloud — powered by DNAnexus — is accelerating the use of genomics to benefit patients worldwide. China cloud solution now available. Demo the latest PacBio tools on the DNAnexus platform. See how complex bioinformatics is made simple. We’re proud to support our customers who push the envelope in advancing genomic science and medicine. Be sure not to miss these talks! Track 3 Software Applications & Services: Panel Discussion: How will data sharing innovations fare in the regulatory environment? To learn more about DNAnexus and see a demo of the DNAnexus Platform, visit booth #317 in the exhibit hall at the Bio-IT World Conference & Expo.